Call us toll free: 877-803-2897 ― Se Habla Español. It costs you nothing to find out if you have a legal claim. Contact McDonald Law Firm and speak with a member of our litigation team. During our free case review, we’ll evaluate your claim and determine if you have legal grounds for a lawsuit. It costs you nothing to feel out the strength of your case and you’ll have a better understanding of your potential options for resolving your claim. Whether over the phone or in person, we are here to answer your questions and explain the process. Call us today at 877-803-2897. 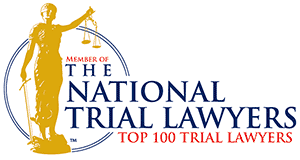 We have attorneys licensed in the following states: Texas, Oklahoma, Louisiana, Mississippi, Alabama, Georgia and Florida.